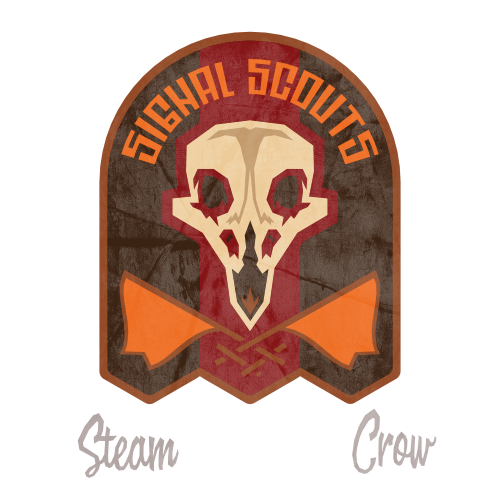 The Signal Scouts Core Badge is for the Signal Rangers — the messengers and protectors of “Old Orange,” our pennant. The Signal Scouts Core Patch is worth 10 Glory points. The crow skull reminds us to do our best, lest we end up like this crow.